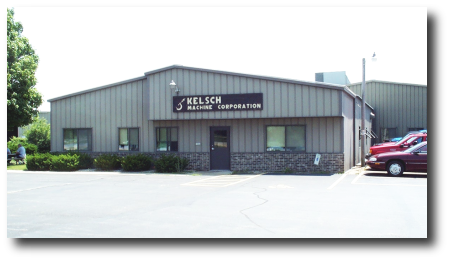 Kelsch Machine Corporation is a precision machine - job shop / contact manufacturer established in 1945. Presently, Kelsch Machine Corporation is a forty person shop running two full shifts. This allows us to operate in such a way that meets your needs - whether it's a one piece prototype run or 10,000+ piece production runs with on-time delivery. Kelsch Machine Corp. is committed to providing products that meet or exceed our customer's requirements while continually monitoring and improving our process. Kelsch Machine Corp. has a wide range of turning and milling capabilities. Turning diameters range from 1/32 to 18 inches, and milling volume ranges up to 20x40x19 inches. Kelsch Machine Corp. uses quality sub-contractors for materials and for all of our secondary and finishing needs such as: heat treating, plating, anodizing, painting, etc. All parts are thoroughly inspected by our operators and Quality Assurance Department, with inspection reports available upon your request.